Hi all hope you are getting out today (Wednesday 10 Dec. 14) as the weather is stunning. Today has window of 10 knot s/e to n/e winds and swell around the 1m before the northerlies pick up again tomorrow and a strong s/e change on Friday may keep us at home for the weekend. The past week has been a little unpredictable, the stormy weather forecast for the weekend didn’t really come through until Monday and Tuesday so the few that headed out early and came home early got some nice conditions for fishing. We however played things safe, we enjoyed an awesome full day on Friday and done an early half day on Saturday before the rain set in. Sunday, Monday and Tuesday were all cancelled. So not a whole lot of fishing for us in the past week but we did get some in and it was well worth it!! 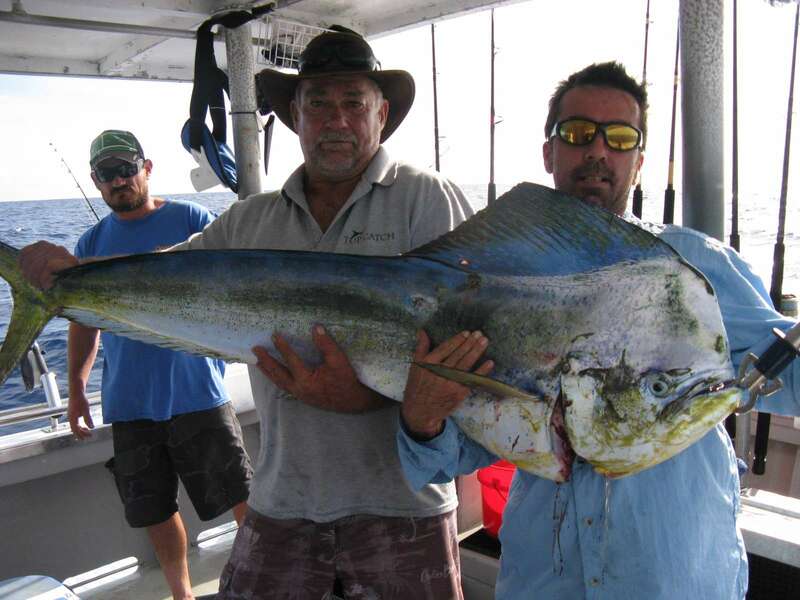 The best fish this week was this massive bull mahi mahi weighing in at 21kg. He was caught while trolling just inside the banks and put in a great scrap leaping out of the water and diving deep at times all the while flaring those awesome electric blue, green and yellow colours. It measured 1.58m long and is the biggest mahi mahi i’ve seen. A real top catch!!!! 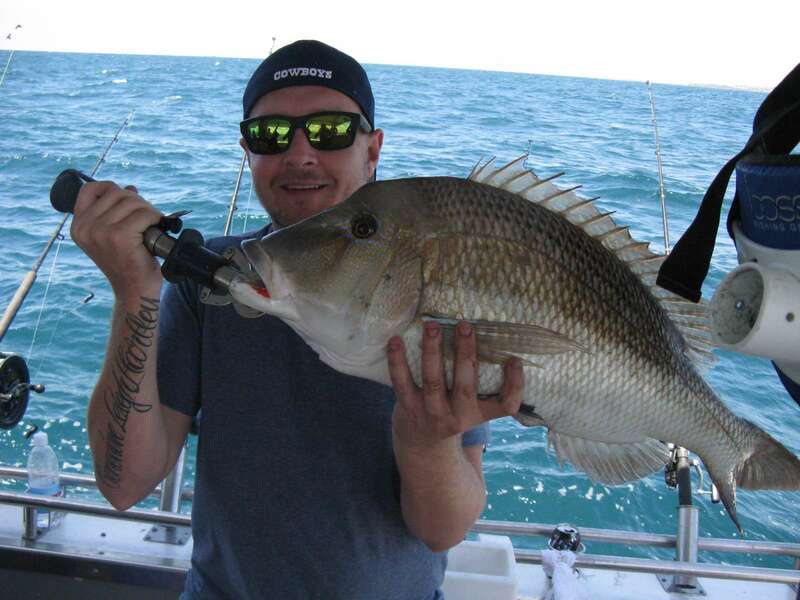 If you would like to come along on a trip drop us a line at bookings@topcatchcharters.com.au or give us a call on 0429013012 and we will make it happen until then happy hunting!!!!!!!!!!!!!!!!!! !